Full length Boost midsole material provides a ton of cushioning. Stretchy mesh upper with a wide forefoot fit will work for most runners. Midfoot cage can be uncomfortable as it is made of hard plastic. Torsion system makes the shoe inflexible. The Adidas Energy Boost is the updated, high end, Cadillac model of their line. Unfortunately, the great amount of Boost cushioning is surrounded by less than stellar shoe technologies which hamper its flexibility and overall wearability. While this shoe will appeal to the fashion forward lifestyle crowd, it lacks the fit and feel of a serious running shoe. I would recommend this shoe to beginners and heavier runners looking to start running in a model that has the classic Adidas look that can be worn casually. The Adidas Energy Boost has been a popular shoe since it Boost midsole material first debuted in 2013. This midsole foam, comprised of TPU pellets molded together, is amazingly resilient with a great energy return. Runners were willing to pay the higher price as the original Ultra Boost model would hold up well past 500 miles, the industry standard for running shoe wear length. 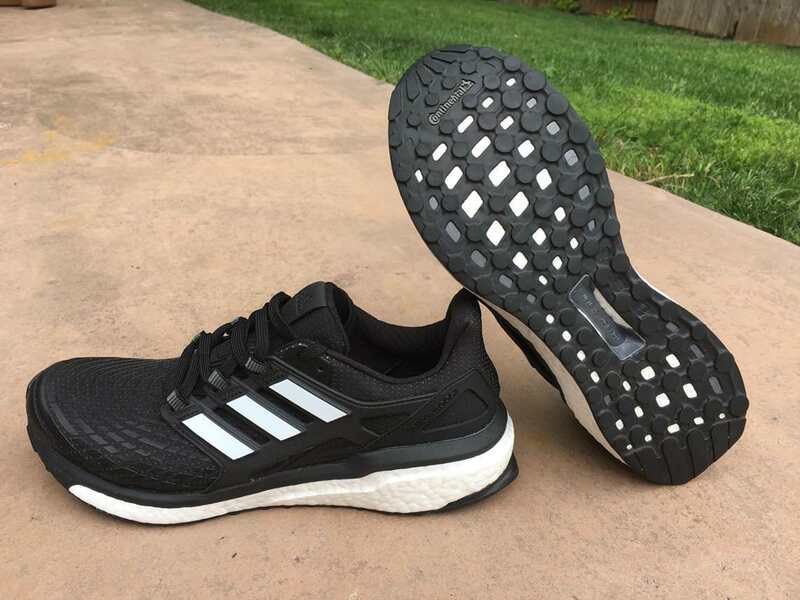 Besides the original Ultra Boost, adidas has the Energy Boost, and while certain design aspects are similar, it seems that Adidas has over-engineered this model a bit. Where I think that Adidas gets into trouble with seasoned runners is that they have catered this shoe to the lifestyle crowd, much in the same way that Nike’s Air Max shoes were never worn by real runners. 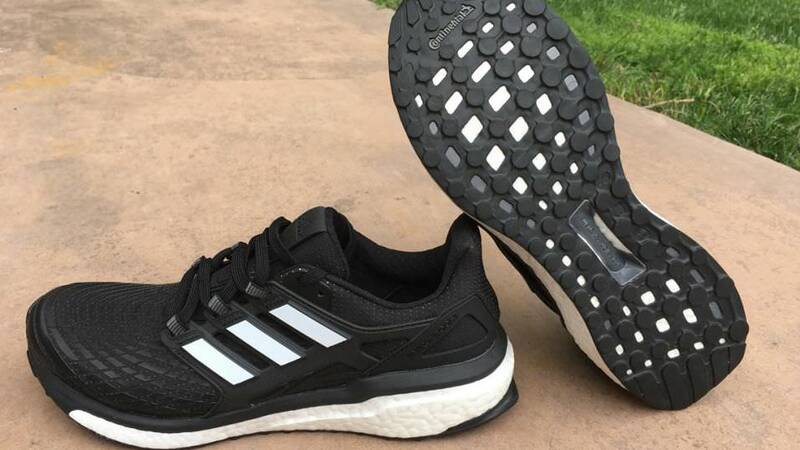 Also, Adidas has now incorporated Boost midsoles into the rest of their line and many runners prefer shoes like the Glide, Supernova, Boston, or Adios which all feel quite a bit more performance oriented than the Energy Boost. So, the question becomes do you want to pay $160 for a technology that you can find on a similar shoe for $40 less? This shoe is made to compete with shoes like the Nike Vomero, Brooks Glycerin, and Asics Kayano and it is priced more expensively than all but the Kayano. While the Energy Boost is one of the most expensive shoes in Adidas’ running line, it is not their most performance oriented running shoe. With each iteration of this shoe I find myself hoping that it works for me. Adidas Boost shoes such as the Glide, Boston, and Adios have become mainstays for me when it comes to road running. When I first unboxed the Energy Boosts I was hopeful seeing that Adidas used their Four Way Stretch Mesh on the upper and widened the toe box. However, I noticed that as soon as I tried them on they were exceedingly stiff. Adidas Boost midsoles are likely the best material on the market for both energy return and longevity. I’ve worn a pair of Adidas Supernova Glide Boosts for close to a thousand miles and they never felt dead. It seems that Adidas is forever trying to reinforce the Boost midsole material as to not make it feel too sloppy and soft. However, a lot of times I think this backfires and over-complicates the designs on the shoe. Case in point with the Energy Boost which has a wonderfully well cushioned full length Boost midsole, but then uses a Dual Torsion thermoplastic device in the midsole which makes the shoe completely inflexible and dead feeling. 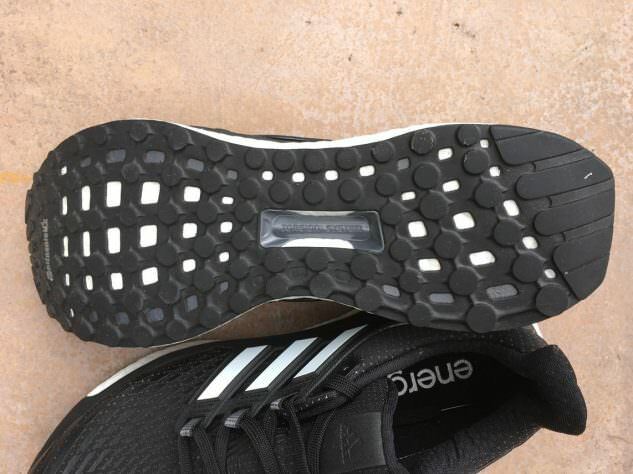 In understand that Adidas is trying to firm this shoe up to be in line with their tradition of making firm shoes, but this is ridiculous and it really takes away from the softness of the Boost. The Continental outsole is wonderful and just what we’ve come to expect from Adidas. This outsole rubber wears very slowly and is the stickiest road shoe I’ve found for running on wet roads. It also holds up great on trails. The Energy Boost uses Four Way Stretch Mesh throughout the toe box on this upper which is wider than most Adidas shoes. This stretch mesh provides a snug but not hemmed in fit. Throughout the mid foot Adidas employs a Midfoot Cage which seems like a good idea until you realize its made of fairly hard rubberized plastic which pokes into your foot. This is a leftover technology from the original Ultra Boost and it shouldn’t have ever made it out of the design studio. If Adidas were looking to add structure to this shoe than the heel counter would have been the obvious place. I don’t have any other issues with this upper, but the mid-foot cage absolutely makes this shoe not work for me. Bulky pieces of plastic do not belong on the upper of a running shoe. Adidas certainly has a great product with Boost technology, and their shoes are very well made and hold up. The problem with this particular model is simply that it is overbuilt. It is extremely well cushioned, but that cushioning is undermined by the Dual Torsion system which makes the midsole feel like an inflexible brick. The upper fits very well until you realize the middle of your foot is being cradled by pokey plastic. But, I don’t really think this shoe from Adidas was ever really marketed for the serious runner in mind. 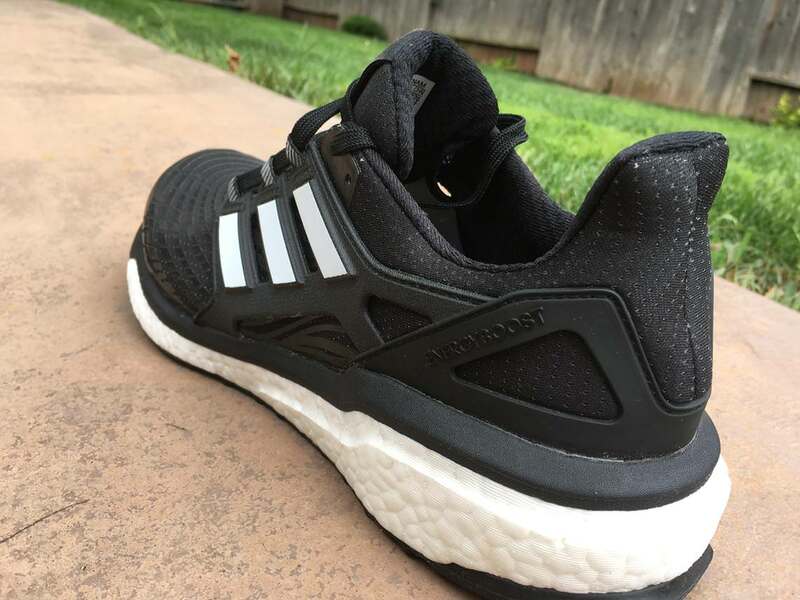 With the Boost phenomenon Adidas have tapped into the fashion forward lifestyle crowd and I would fully expect to see this shoe at college campuses and high end health clubs rather than on the feet of runners actually training. If you’re looking for a great looking running shoe with Boost that works well for casual purposes, this might be your shoe. However, if you’re looking for a shoe to train seriously in, save your money and look further down Adidas’ line at other great offerings. We thank the nice people at Adidas for sending us a pair of Energy Boost to test. This did not influence the outcome of the review, written after running more than 50 miles in them. just bought this model after great reviews from the guys working at the store, but never been this disappointed with Adidas! 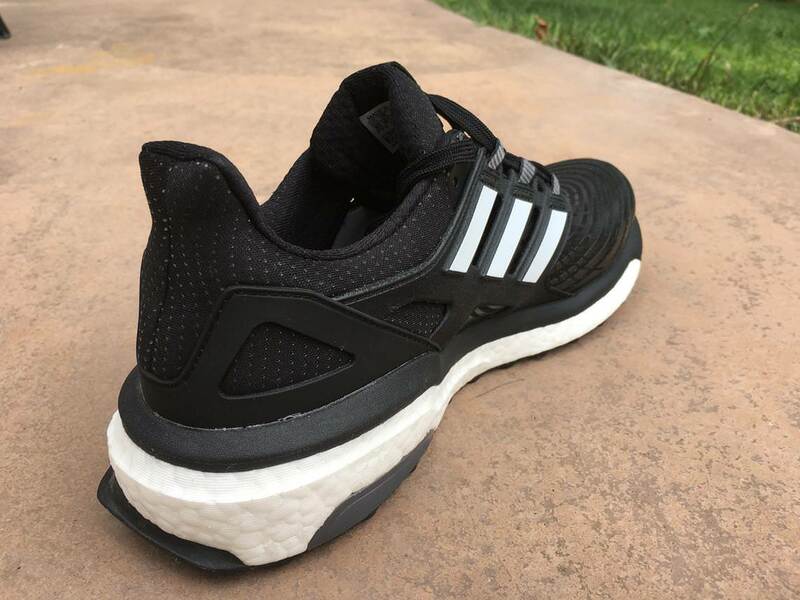 Ive had two models of the Energy boost 3 model which I was very satisfied with, but the new model has a too soft cushioning for my taste as a forefoot runner. It was like running on sand as you never got the extra kick or boost the Energy boost 3 got and which Adidas advertise about with this new model. For training and serious running – don’t buy! Bulky and stiff initially, to be sure. However my experience has been that after some extended breaking in, the torsion system flexes better and you have a great, protective trainer with great response. 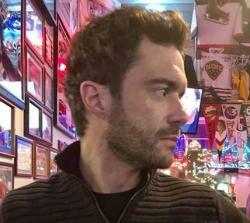 But the shoe requires a long break-in period. You state that the Ultra Boost for the first of the Boost shoes, followed by the Energy Boost. This is wrong. The Energy Boost preceded the Ultra Boost by more than a year. I find this to be the perfect shoe! Ran in Ultraboost for 3 years, but found it too soft with poor responsiveness. Then tried Supernova, which was too stiff and firm for my arthritic foot. Have been running 11 years, 40-55 miles per week through 14 half marathons and 8 full marathons. This is my shoe of choice for its perfect balance of cushion and responsiveness. A bit disappointing to hear about the the Adidas energy boost 4 – inflexible, and that midfoot cage makes it uncomfortable. Too bad its not like the original energy boost. You mention the supernova glide never feeling dead – are you talking about the 8 or the new 9 supernova. Ive read a few reviews saying the new supernova 9 is cumbersome (in the heel) and tends to be slower than the 8 as it has too much boost and its too soft in the heel, which has led to some been disappointed in that model – any thoughts. I was referring to the Glide 8 which I got almost 1000 miles in. I have the new Supernova (technically the 9), and while I like the cushioning it is way to heavy and the upper is a bit sloppy. I use it for easy days. I wish they would have just kept making the Glide with the structure in the upper. Right now Adidas’ line has too many models that seem a slight variation of the same thing. I still think, that with the right upper, the Adidas Boost shoes have the best lasting ability of any shoe on the market. Purchased recently these shoes. Maybe a little narrow and wide for some, but perfect for me. 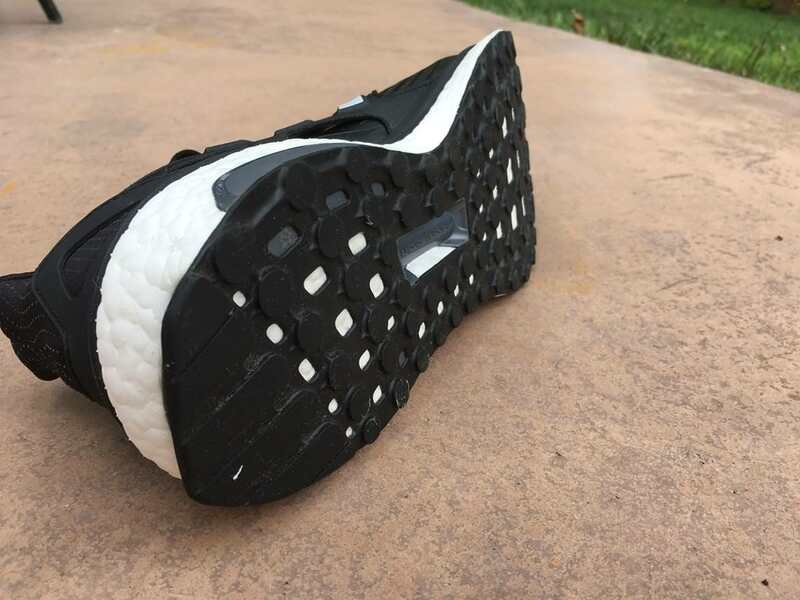 First time in boost technology and the cloudy filling in stepping is noticeable. Breathable enough just as saucony ride 8, if not a little better. Very good materials. 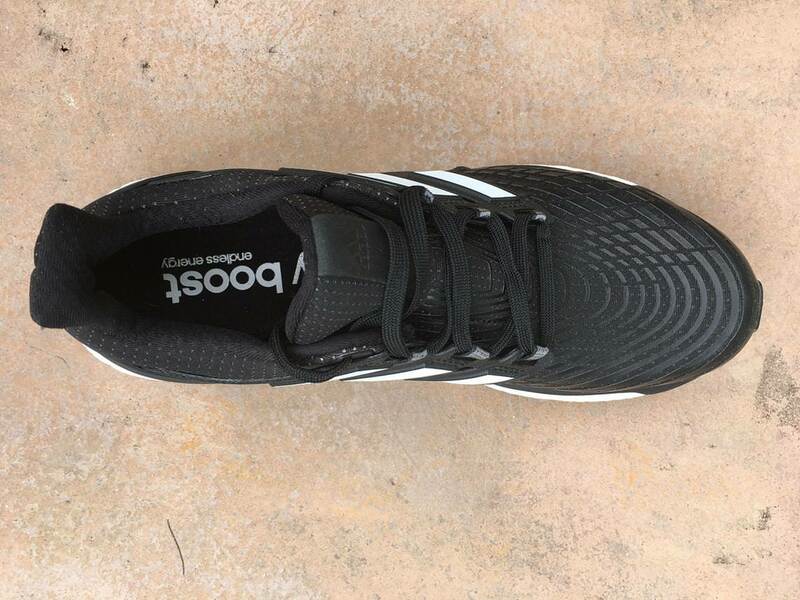 Be Warned: Adidas Energy Boost shoes are VERY NARROW. You need to have slender feet or they will feel very cramped & tight, and may even hurt your feet. Adidas does not make “wide” size. My feet are slim and narrow and still these shoes are extremely tight on the sides. So make sure you try on a pair or have a return policy. Ordering a larger size only extends the toe length, not the width. Eventually, the front edge of the sole near your small toe cracked on two pairs in the same spot.